Strong partnerships for mutual success. Together with a selected number of strong partners, we work every day to establish the video application as the new application standard and guarantee an excellent application experience. PRECIRE Technologies – New psychological perspective! Communication contains numerous exciting information about the author – far beyond the content. PRECIRE considers with a self-developed, artificial intelligence each kind of communication and determines from this a variety of complex findings for e.g. recruiters or applicants. 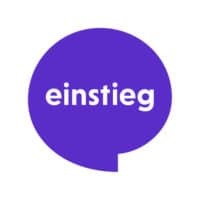 Einstieg GmbH offers events, media and consulting for young people who are planning to enter their professional future, and supports companies and universities in their search for young talent. Employers and universities present their offers for young people at local and national trade fairs and events, on einstieg.com and in the Einstieg Magazin. 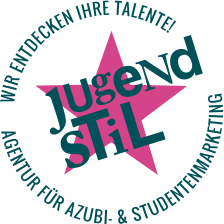 Jugendstil is a full-service agency for trainee and student marketing with a team of consultants, copywriters, web specialists and graphic designers who have been working with young people, their parents and teachers for years. They know the target group exactly, because as a division of Einstieg GmbH they design Germany’s most successful career orientation event. Its cross-target group concept makes jobmesse deutschland unique: not only young career starters take their first steps towards the professional world here – experienced specialists and managers also face new challenges. Exhibitors from all sectors will be testing in a face-to-face manner whether they fit together or not. Unlike online, applicants have the advantage of being able to impress with their personality. SAP SuccessFactors offers the leading cloud-based SAP SuccessFactors HCM Suite, which enables HR to drive business with comprehensive, beautiful, and flexible solutions that can be implemented anywhere. This enables you to optimize your employees today and prepare them for tomorrow. SAP SuccessFactors solutions are supported by a global ecosystem of partners and SAP’s experience and commitment. Offer your customers all the advantages of video applications.